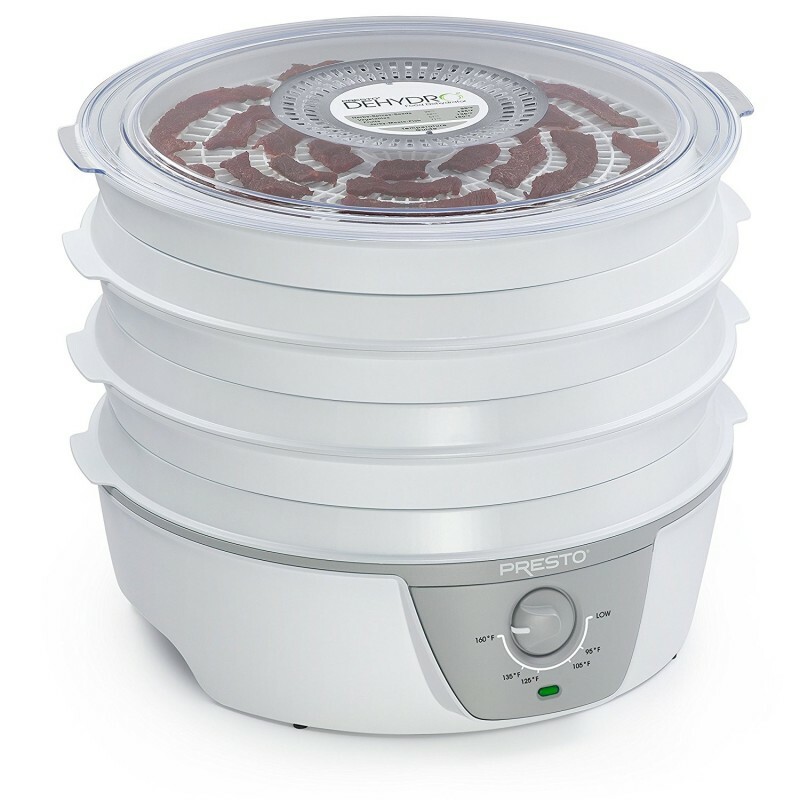 This is one of the best food dehydrators in case you are interested in dehydrating a large number of fruits and vegetables in a short period of time. 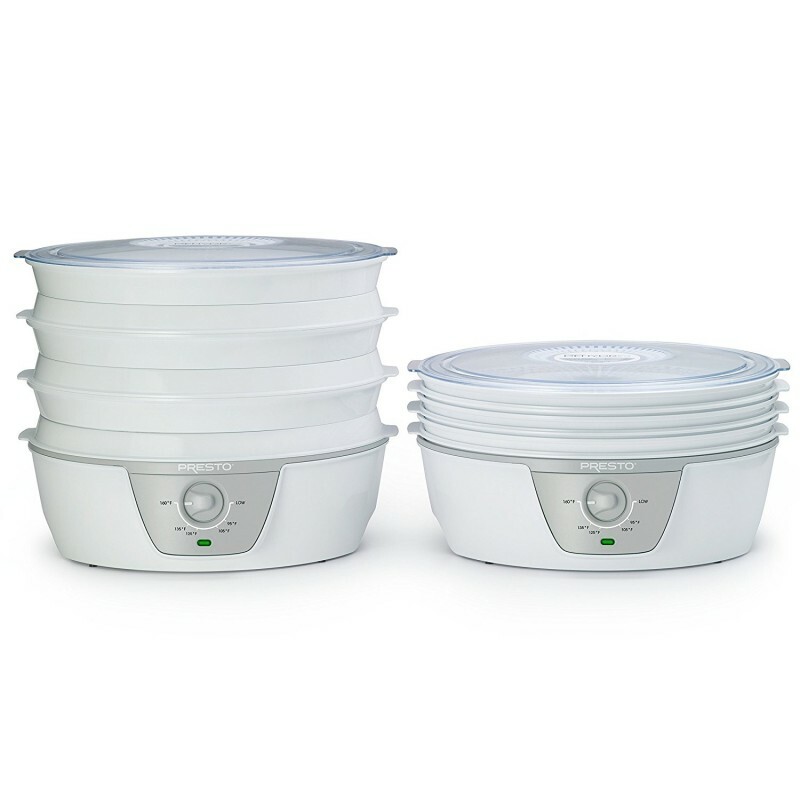 I say this because it comes with the capacity for height wise adjustment to fit in an extra 6 trays which can accommodate more foods. 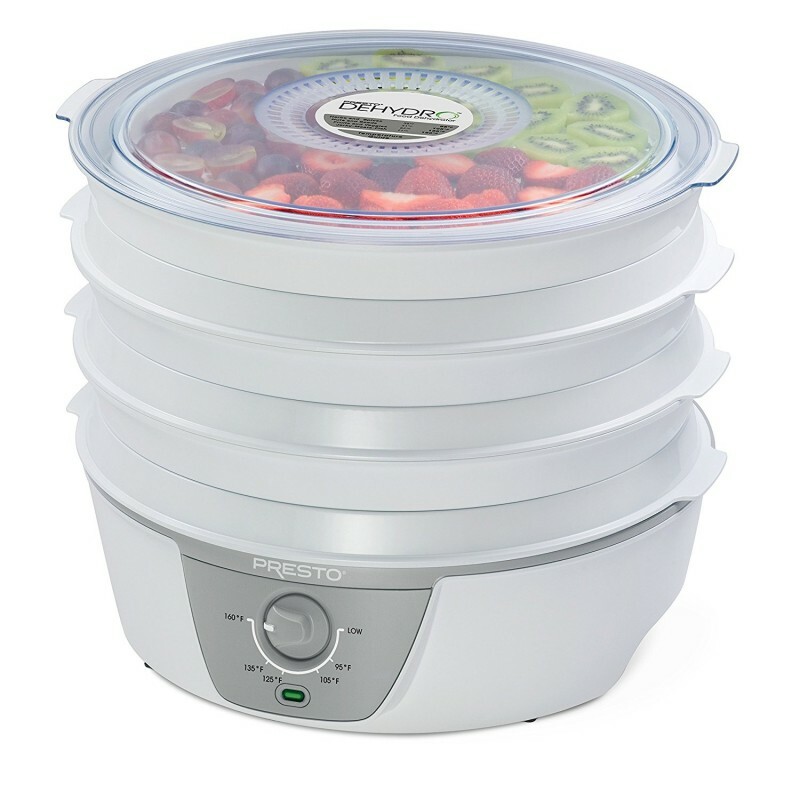 It is also fitted with a digital thermostat that you can always use to specify the degree of heat you would love it to use while dehydrating the fruits and herbs that you have placed in it. Storage is also very simple since it can be collapsed to take up very little space as it trays are nestable and its power cord can effortlessly wrap at the bottom. However, is that it is loud, does not come with an automatic shut off timer and is not ideal for dehydrating meat. 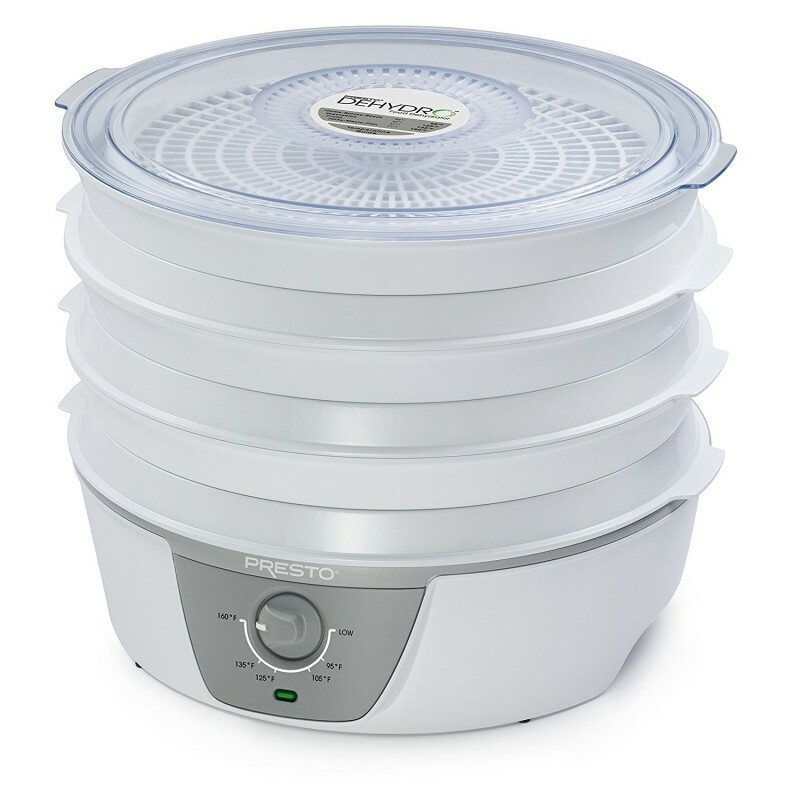 It is very easy to use and set up, therefore, you will spend very little time every time you need to use it to dehydrate your food. 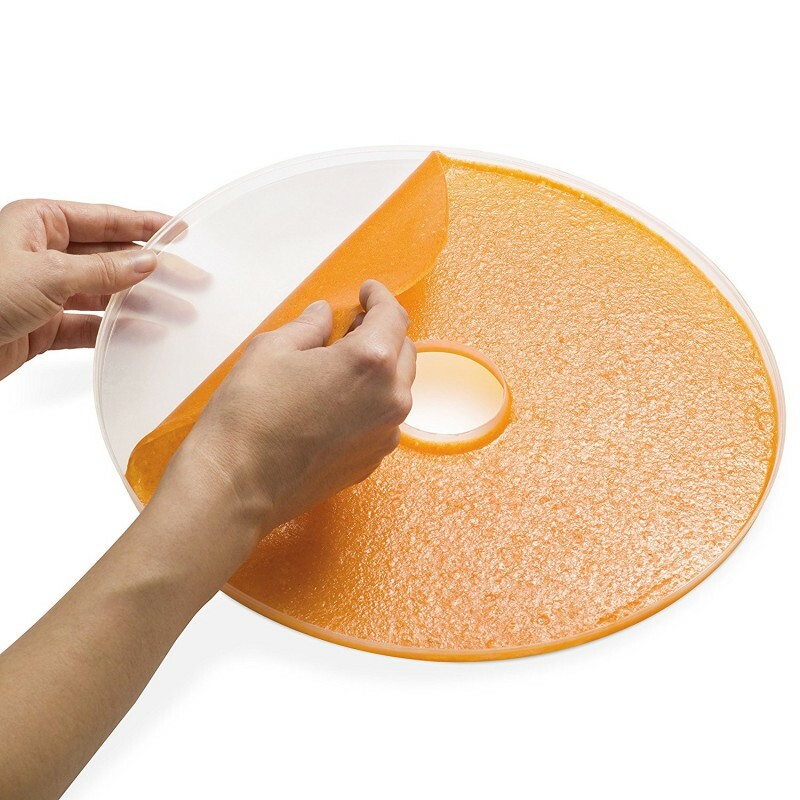 You can use it to dehydrate a variety of foods in bulk thanks to the fact that it can accommodate with six more trays for this purpose. It is also height adjustable to enable you to fit an extra 6 trays which means you can use it to dehydrate a large number of foods at the same time. You can set it to dehydrate foods at temperatures that are optimal for preserving both flavor and nutritional value thanks to its digital thermostat that affords you this opportunity. It's easily collapsible to take up very little storage space since its trays are nestable and the cord can be wrapped around the bottom neatly. It is efficient for drying fruits and herbs but not meat. It does not come with an automatic shut off timer.